This post was created in partnership with WhyHotel. For more information please see my affiliate disclosure. 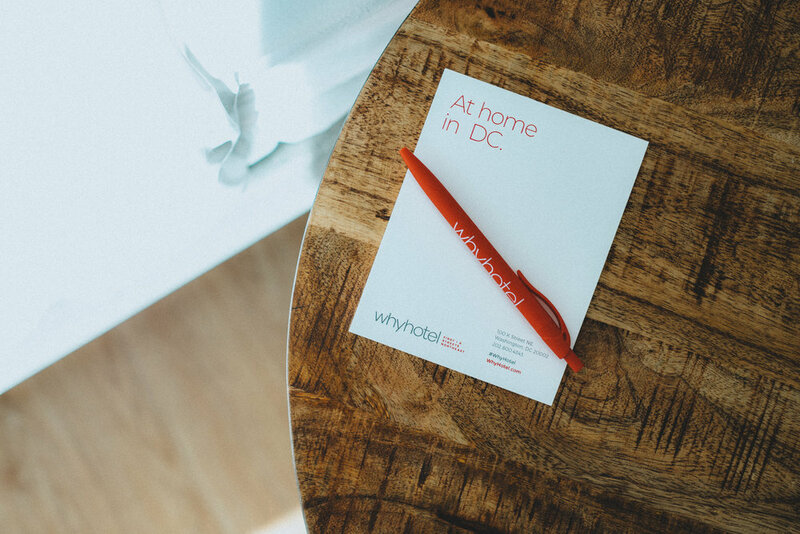 WhyHotel is a DC-based start up that operates pop-up hotels out of newly-constructed luxury apartment buildings. Since I already work with quite a few hotel companies, and I love anything that’s made in the District, I gave them a quick yes when they asked if I’d like to spend a night and try things out. The short of it: this is a great concept and I can’t wait for them to expand further afield so I can use them when I travel. (WhyHotel currently is operating in Baltimore and DC.) Make sure you read to the end of this post for a 10% off promo code! The check-in process was super easy. One of the apartments on the floor below me had been converted for use as the hospitality room and offices for the hotel. There were snacks of all sorts, brewed and nitro coffee, sodas, beer, wine, and bottled water. The staff was super welcoming, got me checked-in, got me my key, and I went up to my room. A 2-bedroom corner apartment with floor-to-ceiling windows on two walls of the main living space is not a bad thing. Views of Union Station and all the train tracks that run into the rear of it aren’t a bad thing either. The location, at 100 K St. NE, is super. 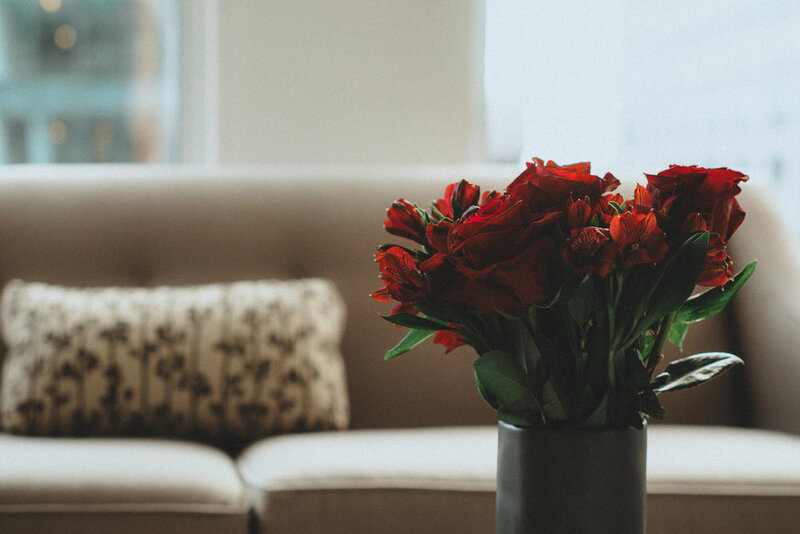 You’re a couple of blocks from Union Station, all the bars and restaurants on H St. are a short walk way, there are two grocery stores within a couple of blocks, and Union Market is also nearby. This location is convenient to the Capitol and lots of government offices, as well. The kitchen was stocked with a Nespresso maker and everything needed to cook except food. The living spaces were decorated beautifully. It felt like someone said, “Hey, you get to stay in the model apartment for a night,” which is something I can get behind. The bedrooms were a bit more spartan but still had everything I needed. The sheets were soft, the duvet was warm and fluffy, and the pillows were great. On each bedside table there were these great little cubes that had electrical outlets on all six sides which made charging my phone over night super easy. The place was very much equipped for someone like me who, when traveling, has a need to charge lots of devices at the end of the day. Checkout the following morning was even easier than a regular hotel. All in all, it was a very seamless, smooth experience. Like I said up top, I’m looking forward to WhyHotel opening in more cities because I would absolutely use them when I travel. Room rates were significantly less that a hotel, and on par with many Airbnb entire apartment rentals I’ve seen. The folks at WhyHotel gave me a 10% promo code to share with you, which expires at the end of November. Just enter JamesJackson when booking your room.